Teens don’t have it easy when it comes to car insurance in Ontario. Insurance companies look at age, driving record and insurance claims history when assessing risk for auto insurance policies. Teen drivers just haven’t the time to establish a driving record or insurance history. In absence of these, and with drivers under 25 statistically likely to have serious accidents, premiums for teens are pricey. In Ontario, charging increased rates based on age is still allowed under the Insurance Act, administered by the Financial Services Commission of Ontario. Provinces with full public insurance programs — British Columbia, Manitoba, and Saskatchewan — don’t penalize young drivers this way. New Brunswick and Nova Scotia, both provinces with private insurance in place, have also removed age factors on the basis that these discriminate. Meanwhile, in Ontario, both drivers under 25 and elderly seniors are susceptible to insurance markups based on statistical data for their demographics. This can mean hundreds of dollars added to a premium. The first step is calling your agent or broker to add your teen’s name to the policy. If they’ve just received their G1 licence, they can’t drive without a licensed adult in the car with them. Insurers won’t charge additional premiums at this point, but they do want to know your teen is driving. Additional costs don’t factor in until a G2 license is obtained. Your child may now be driving on their own and insurers start treating the G2 holder as a full-fledged driver for insurance purposes. Not informing your insurer about a regular driver of your car could lead to limits or denials of payouts in case of an accident. It’s the policyholder’s responsibility to keep the insurance company informed of any changes to the use of the vehicle. This includes naming your teen driver, despite the fact it will likely have a negative effect on car insurance premiums. Though the odds are stacked against teenage drivers, there are ways to cut the auto insurance bill. Adding the teen to a family’s second car may save money if it’s cheaper to insure overall. Raising deductibles and removing options can also bring that insurance bill down. New drivers and Ministry of Transportation approved driver training program are an insurance match. Most insurers offer discounts for successful completion of these programs. Honours students benefit from further discounts from some insurance companies also. These providers recognize good grades as a sign of heightened responsibility. Ontario’s insurance marketplace is served by private insurers. Despite the heavy government regulations, each insurer has plenty of leeway to price auto policies as they see fit. So while everyone draws from the same pool of statistical data, how it’s interpreted is open to wide variation. That can mean savings for teenage drivers. The same coverage can sometimes vary by hundreds of dollars between insurance companies. The only way a driver can be confident they’ve found the lowest price for their needs is through extensive comparison shopping. Previously, this meant hours spent on the phone, talking to agents and brokers, hunting here and there for cheap insurance. Since there are hundreds of insurers in Ontario, this could take more time than the average consumer could easily manage. Fortunately, Ratelab has a better way. Enter your postal code below to start a search through dozens of insurance company partners. Fill out the remainder of the form with your information and insurance needs and the Ratelab car insurance calculator will do the leg work to find the cheapest rates available. Some of the Ratelab partners have special rates for the teenage driver. 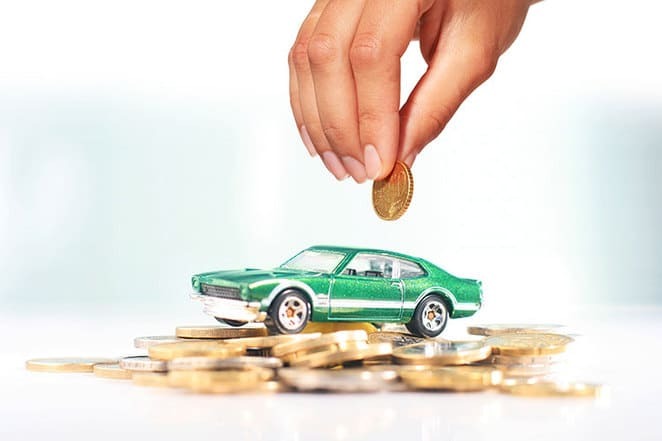 These will be prioritized with your car insurance calculator data entry. The more accurate your information, the more accurate your quotes will be. This will point you in the right direction for the lowest cost for your teen driver. It takes only a fraction of the time a manual search takes. If there’s a new driver in your family, you want them to drive a car that’s safe, reliable and appropriate for their age and skill level. While a Volvo, renowned for its safety, may be on the top of your list, finances can be a problem. 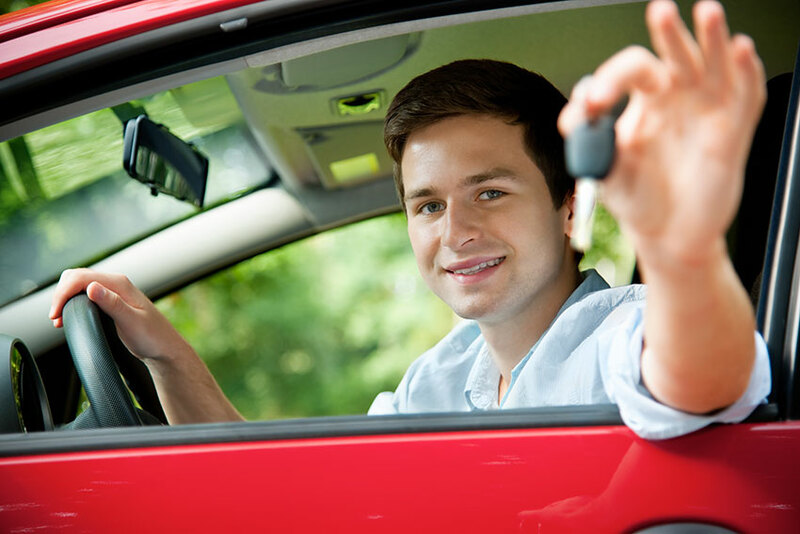 Finding the right car for your young driver can be a real chore, but this list of the used cars for teen drivers will help point you in the right direction. Cheap cars are not only inexpensive to buy, but they’re also cheaper to insure because you won’t need it to carry comprehensive coverage. Part of your insurance premium is determined by the cost to replace or repair the vehicle, so make sure you choose a car that has many replacement parts readily available. Dodge Neons, Ford Focuses, and smaller Chevy vehicles are all great choices for inexpensive used vehicles. You don’t need to pay a lot of money for a reliable used vehicle. There are plenty of used mid-level models known for their dependability that are available for excellent prices. A Toyota Corolla or a Honda Civic are two great examples. Sure, you may be tempted to go for a used Hyundai Accent or another car that costs very little, to begin with, but how many older models of those do you see on the roads? Not a lot. There’s probably a reason for that. Safety is a big concern for teen drivers, particularly those who will be driving through congested city streets. Safety ratings for cars vary from year to year, so it’s important to look up the specific model you’re thinking of buying. Consider your teen’s driving habits when choosing a car. If your teen is driving in a city during rush hour or on a highway where speeds are higher than back roads, you may want to spend a little money more on a larger vehicle like a truck or an SUV. These cars offer more protection in the event of an accident. For trucks, look into small models like a Chevy S10 or Colorado. These trucks get good gas mileage. By some law of the universe, teens with shiny new cars seem almost guaranteed to wreck them. Their friends are more likely to ask for rides, which increases potential risks. Make their car as unattractive as possible (boxy, boring colors work well), and they’ll be less likely to pick up friends. Unattractive cars are also cheaper to insure, and you won’t stress over bumps or scratches, which are an inevitable part learning to drive. Bonus: unattractive cars are less likely targets of auto theft. Use these guidelines to help find the perfect car for your teen driver. When shopping for a used vehicle, remember that the most important thing is that your child arrives safely to their destination. Your first car is a big responsibility. Besides not crashing, it’s important for teens to know how to take care of their car so it runs well and continues to get them from point A to point B. Teen cars usually aren’t the best on the road, and parents often give their kids older models that are paid off and cheaper to insure. It’s even more important if driving an older vehicle to pay close attention to maintenance requirements. Read on for some car maintenance tips for teens in Ontario. 1. Know your vehicle’s maintenance schedule and keep up with the service requirements. That means getting the oil changed regularly, having the brakes serviced when needed, and making sure all the fluid levels are good before you drive. 2. Make sure your tires are up to par. Your tires are necessary to get you to school, work, and other destinations. Having good tread and the proper inflation is vital. Check your owner’s manual for tire pressure settings. It’s also listed in the jam on the driver’s side door. If you’re getting gas and waiting for the tank to fill, take a minute to visually inspect your tires for wear. 3. Don’t ignore dashboard lights. It’s easy to ignore a warning light, especially if your car is running fine. The light is a notification that something in the engine isn’t working properly. Whether it’s a sensor or a more vital component doesn’t matter–never ignore a warning light. Remember, the sooner you address a problem, the less likely it is to turn into something major. 4. Don’t let your car run out of gas. Your car needs gas to go, and cars are not meant to run on fumes. If you hit a quarter of a tank, it’s time to top off to keep from getting stranded on the side of the road. 5. Take care of your windshield. Whether it’s dirty or cracked, you need to address problems with your windshield right away. You need a clear surface to look through if you want to see the road in front of you, so take a few minutes to do any required windshield maintenance. 6. Slow down and enjoy the scenery. Ontario is a beautiful place. There’s no need to drive so quickly. Slow down and take in the sights. You’ll appreciate it when you’re older. You’ll also reduce the strain on your engine and get better gas mileage. Taking care of your car can help prevent accidents or mishaps from happening. Worrying about a car breaking down with a teenage driver behind the wheel is every parent’s worst nightmare. If there are teen drivers in your home, share this list with them so they can take care of their car and hopefully never experience what it’s like to break down.